The RASP-UK consortium is led by Professor Liam Heaney, a professor of Respiratory Medicine at Queens University Belfast and consultant physician at Belfast City Hospital. Professor Heaney is an advocate of a stratified approach to providing optimal care for patients with severe asthma. He founded the British Thoracic Society Difficult Asthma Network and the affiliated National Registry on Difficult Asthma in 2006. He now co-ordinates and manages the registry, which facilitates research into the assessment and clinical management of difficult asthma, standardising UK specialist clinical services. Professor Heaney’s research group at Queen’s University Belfast, have conducted award winning research. His team defined the significant scale of the problem of non-adherence to treatment in patients with severe asthma and the group are addressing this by developing clinical tests utilising exhaled nitric oxide suppression and biomarkers, for use in clinical assessments of non-adherence. His contribution to asthma research also spans the establishment of in vitro cell models and he has pioneered work on non-bronchoscopic sampling of paediatric airways for the advancement of studies on airway disorders in children. Professor Heaney continues to collaborate with industrial partners, concerned with profiling genomic expression for biomarkers. Ashley Woodcock is a Professor of Respiratory Medicine at the University of Manchester. He is a Consultant Respiratory Physician and the Clinical Academic Lead of the internationally recognised group in translational and clinical lung research at their newly built specialist facilities at the North West Lung Centre, University Hospital of South Manchester. 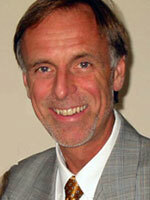 Author of over 200 publications, Professor Woodcock’s research interests include the environmental aetiology of allergy and asthma. He is committed to raising awareness of the risks of climate change. In 2006, he was awarded an OBE for chairing the Medical Technical Committee to the Montreal Protocol. Professor Woodcock contributed to the Intergovernmental Panel on Climate Change, which was awarded the Nobel Peace Prize in 2007. The Manchester Asthma and Allergy Study was established by Professor Woodcock with Professor Adnan Custovic, and has investigated the genetic and environmental aetiology of allergy and asthma. The project has monitored over 1000 children from birth to 18 years of age and has made many important discoveries into the cause and development of childhood asthma and allergy. Recently, Professor Woodcock has helped to establish the Medicines Evaluation Unit in Manchester, a purpose built unit for carrying out Phase 1-4 clinical trials for novel treatments in respiratory diseases. Professor Djukanovic is the Director of the National Institute for Health Research Respiratory Biomedical Research Unit (NIHR) and Director of the Southampton Centre for Biomedical Research. He is also Chairman of the Steering Committee of the UK Translational Research Partnership in Inflammatory Respiratory Diseases supported by NIHR and an Honorary Consultant in Respiratory Medicine at the Southampton University Hospitals NHS Trust. 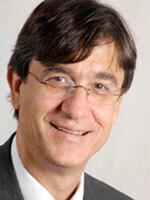 Professor Djukanovic has held several key positions at the University of Southampton, which include Directorship of the Division of Infection, Inflammation and Immunity and he has overseen the formation of the Academic Unit of Clinical and Experimental Sciences as a result of departmental structural changes. Professor Djukanovic is committed to improving our understanding of the regulation of immune responses in allergic asthma and how drugs for chronic airway diseases work. He is lead of the Inflammatory Cell Biology Group, a team of clinical and non-clinical scientists, who have developed a lung explant model. The ‘Southampton Explant Model’ has been used successfully in pioneering, proof of concept studies for the development of novel anti-inflammatory drugs. Professor Djukanovic is also co-founder of the programme: UnbiasedBIOmarkers for the Prediction of REspiratoryDisease Outcomes (U-BIOPRED), a €22 million project funded by the EU Innovative Medicine Initiative. 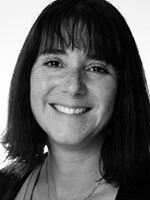 Dr Samantha Walker is Deputy Chief Executive and Director of Research and Policy at Asthma UK. Her role includes the development and oversight of Asthma UK’s thriving patient and public involvement programme, which includes training volunteers to represent people with asthma as a community rather than as individuals (numbers currently c180) and providing people with asthma to increase the quality and quantity of asthma research through participation in high profile European and UK research projects. 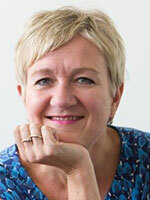 She is an honorary lecturer (non-clinical) in the Division of Community Health Sciences at the University of Edinburgh and maintains her research interests (asthma and rhinitis) through this collaboration. Dr Walker is co-ordinator and PI on the FP7-funded European Asthma Research & Innovation Partnership (www.earip.eu) which aims to increase investment in asthma research in the UK and Europe through pan-European activities and influencing. John Matthews is Group Medical Director in Product Development Immunology and Global Development Team Leader for the anti-IL-13, lebrikizumab, at Roche, South San Francisco, California. 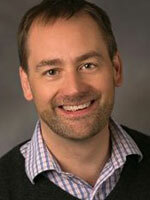 He joined Genentech in 2008 and has worked on the Phase 2 development of lebrikizumab, anti-OX40L, anti-M1prime. In 2011 he followed the development of the molecule lebrikizumab into Phase 3 along with the companion diagnostic development of serum periostin. John is a member of the UnbiasedBIOmarkers for the Prediction of REspiratoryDisease Outcomes (U-BIOPRED) programme and has supported the RASP-UK team since 2011. He trained in pulmonary medicine at the Royal Brompton Hospital and the Lane Fox Unit, St Thomas' Hospital, London, and in 2006 he gained a PhD in respiratory clinical pharmacology from Imperial College London. Previously, Dr. Matthews worked at Novartis Pharmaceuticals, UK, on Xolair and moved to GlaxoSmithKline, UK, in 2003 as a clinical scientist in the Department of Early Development for Respiratory and Inflammation products working on a range of molecules including mepolizumab. 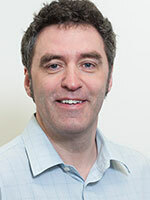 Dr Timothy Hardman is Managing Director of Niche Science and Technology. Dr Hardman is also a member of the executive team for two European FP7 projects in public health among older populations – the Mid-Frail study (an EU funded project in 16 centres over seven countries) and the Frailomics project, an international consortium. Dr Hardman is skilled in utilising available scientific vehicles to maximise dissemination of key clinical findings. He is also an experienced programme manager of drug development projects both for blue chip pharma and biotech companies. 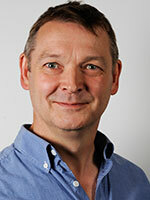 Dr Hardman has extensive experience with academic and commercial projects, including paediatric and adult studies. Due to his previous experience co-ordinating multi-centre programmes of similar consortia, Dr Hardman understands the constraints and influences on all consortium members and has an ideal background from which to manage the RASP-UK programme. Gabrielle Gainsborough is a clinical project manager at Niche Science and Technology. Highly experienced in managing and monitoring clinical studies in academia and industry, she has overseen the adherence of projects to study timelines and delivery within budget. Gabrielle has worked in a wide variety of therapeutic areas, most recently within respiratory, diabetes and oncology. She is responsible for managing the consortium to ensure programme delivery.